The bill needs to get through one last committee, but the senator in charge hasn't allowed it to be heard. 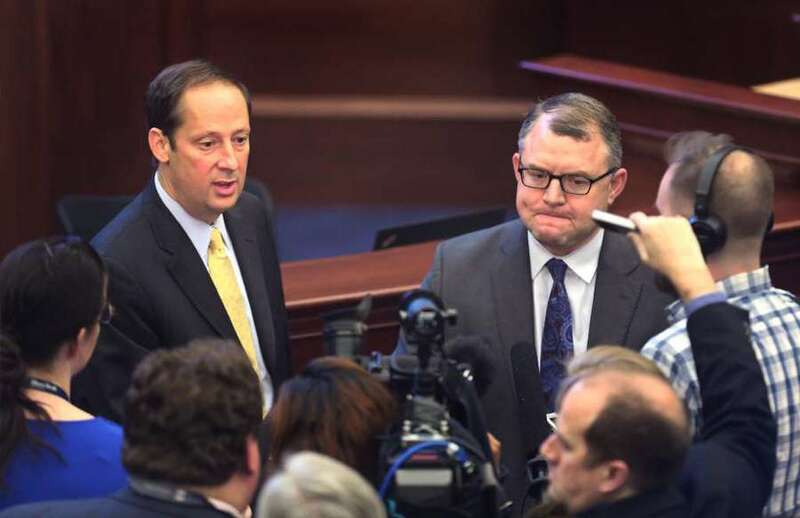 SCOTT KEELER | Times Senate President Joe Negron and Senator Rob Bradley talk to reporters during the last week of the 2017 Florida Legislative session. It was cruising through the Florida Legislature, but now the bill that would allow police to pull drivers over for texting has run out of gas. The powerful head of the Senate Appropriations Committee, state Sen. Rob Bradley, R-Fleming Island, has refused to give it a hearing, and without his support, and with time running out, the chances of it passing this year are slim. "It's on the verge of death," said state Rep. Emily Slosberg, D-Boca Raton, one of the bill sponsors in the House. For more than a month, Bradley has allowed the bill to languish in his committee, citing concerns that the bill would allow police to view people's cellphones and could lead to racial profiling. "Many of my colleagues share that concern," Bradley said. "I listened to them, and so it's not just me." Texting while driving is already illegal, but police can't pull you over for it. Police can only ticket drivers for texting if they pull them over for some other reason, like speeding. In 2016, barely 1,400 people were ticketed for violating it. Slosberg's bill doesn't increase the meager penalties for texting. Tickets would still be $30 for a first offense and $60 for the second, plus court costs. A driver would incur three points on their record only on the second offense. The chances the bill would pass this year were good. It's a priority of House Speaker Richard Corcoran, R-Land O'Lakes, and it easily cleared House committees on its way to an upcoming vote on the House floor on Wednesday. It also hasn't faced much resistance in the Senate, passing three committees easily. But it needs to pass a fourth committee – Bradley's – and he hasn't expressed any interest in supporting it. "I haven't made any decisions, but I've been very clear about expressing my concerns," Bradley said last week. The Senate bill sponsor, state Sen. Keith Perry, R-Gainesville, acknowledged the bill was near-death. "It's close to it, but it's not yet," he said. But he also admitted that Bradley and others have "lots of legitimate questions" about the bill. Other legislators, particularly Democrats, have raised concerns about police profiling, some citing a 2014 study by the American Civil Liberties Union, which found that black drivers in Florida were nearly twice as likely as whites to be stopped for violating the state law requiring motorists wear seat belts. Along the way, legislators have changed the bill to allay those concerns. If police, after pulling someone over, want to search someone's phone to check if they were texting, they have to first tell the driver that they have the right to decline the search. If the driver refuses the search, police would have to get a warrant if they want to get into the phone. Slosberg said none of the other 43 states with similar texting laws have that provision. And legislators have also changed the bill to require police to track the ethnicity of each driver they pull over for texting. Slosberg said this year was the best chance it had of passing. "I'm not sure what it's going to take. A mass casualty?" Slosberg said. She fears the situation will be similar to Texas, whose legislature passed a similar bill in 2011, only to have it vetoed by then-Gov. Rick Perry. But lawmakers there had a change of heart last year, after a driver who was checking a text message slammed into a church bus near San Antonio, killing 13 people. A few months later, Gov. Greg Abbott signed the bill into law. For Slosberg, the issue is personal. Her twin sister Dori was one of five teens killed in a car crash in Boca Raton in 1996. "It's nothing about privacy," Slosberg said. "It's about saving lives." The legislation would create rules relating to federal immigration enforcement by prohibiting “sanctuary” policies and requiring state and local law enforcement to comply with U.S. Immigration and Customs Enforcement. 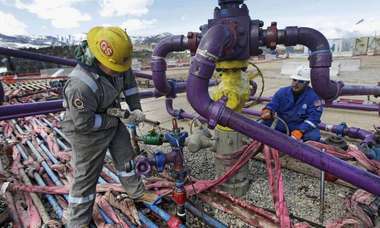 A new report based on data from the Department of Environmental Protection shows that between 2015 and 2018, conventional oil drilling led to 35 spills, averaging nine a year. Roger Stone and Bubba the Love Sponge are buddies? Stone fundraised for his legal defense fund in Clearwater, but first lunched with ‘dear friend’ Bubba. Is Florida’s ‘tough-on-crime’ era vanishing? 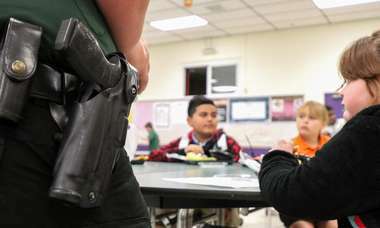 A group of lawmakers in the Florida House, which has typically had more of its members with tough-on-crime stances at odds with many of the proposals, has sponsored a 250-plus page bill that proposes numerous changes. Lawmakers are looking to require nearly all online retailers collect sales tax. But much of the gain would go to other tax breaks.